(Zaman Al Wasl)- Russia has reinforced the coastal Hmeimim base with advanced fighter jets and attack helicopters, in a move contradicts with Mosco’s withdrawal claims, military source told Zaman al-Wasl. large number of Russian warplanes and helicopters have stationed at Hmeimim since the beginning of January. According to the source, the number of Russian warplanes in Hmeimim has risen from 30 to 50 aircraft so far from various models, including (Sukhoi Su-25, Su-24, Su-30, Su-34, Su-35 and MIG 29), in addition to two IL-20M (Ilyushin 20m) , Antonov 26 and Antonov 70, as well as two A-50y airliners and a number of non-fixed cargo aircraft from the Ilyushin 76 and Antonov 124 Ruslan. Also, large quantities of containers loaded with air munitions have been stored inside Hmeimim. 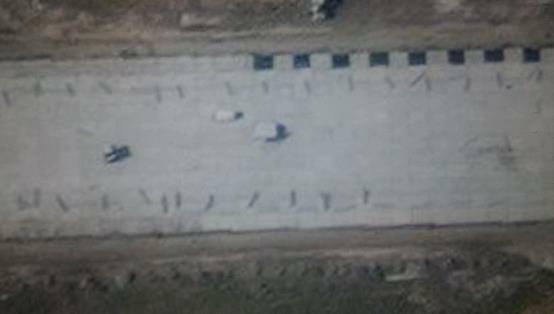 The Russian Army has also begun building 18 large hangars in Hmeimim airbase, according to fresh Russian satellite images obtained by Zaman al-Wasl. Hmeimim base came under frequent drone attacks since January 2018. Alexander Fomin, Russia's deputy defense minister, accused the U.S. of coordinating a drone attack on Russia's Hmeimim Airbase in Syria in January 2018. Fomin told the Beijing Xiangshan Forum on security last October, according to the Russian state-run TASS news agency. Since October 2015, Russia has revived Bashar al-Assad's regime by pounding opposition areas with thousands of deadly bombs. For Russia, al-Assad is a popular leader who has every chance to win re-election. Syria's war has killed more than 560,000 people and displaced millions since it started in 2011 with the bloody repression of anti-government protests.